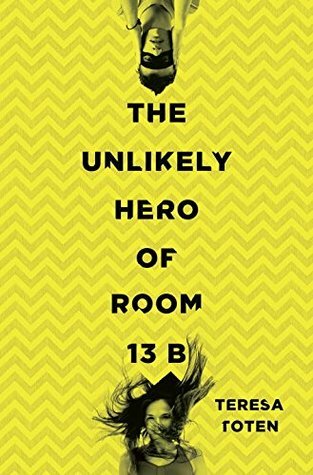 We're happy to have award-winning author Teresa Toten here to share more about her latest novel THE UNLIKELY HERO OF ROOM 13B. Teresa, what was your inspiration for writing THE UNLIKELY HERO OF ROOM 13B? I know far, far too many beautiful and talented young people who are silently labouring with depression, severe anxiety disorders and OCD. I also meet a lot of young adults who are in pain while I’m touring and finally, I tend to get a lot of letters filled with secrets. I tried to honour them all in some small way with this book. I can’t give it away because it would be a spoiler. Suffice to say I’m one of those ridiculous writers who laughs out loud while she’s typing, but there was also a lot of crying over the keyboards for Unlikely Hero. How long did you work on THE UNLIKELY HERO OF ROOM 13B? It took about two and half years. I researched Obsessive Compulsive Disorders for almost a year before I started writing. What do you hope readers will take away from THE UNLIKELY HERO OF ROOM 13B? It’s in the dedication for the book: You are not alone. No matter what it is, no matter what you think is wrong with you, or how you don’t measure up, I promise, you are not alone. Unlikely Hero is my ninth book. Much to my eternal shock and gratitude-everything I’ve ever written has been published. It just happened a couple of years ago. I have made friends with my fear of writing. I’ve tried banishing, raging against and shutting down that fear and none of it worked. I now accept that I write every page with some fear. Fear of not finding the words or that the words are stupid. But now it doesn’t cripple me. I know it’s there, I’ll even remember to greet it or at least recognize its presence and just carry on. Hey, that was a big one for me. I have trouble sitting still for any length of time which is a bit of pain for a writer. So I wander around the house a LOT testing dialogue out loud, talking out paragraphs as I walk up and down the stairs, in and out of rooms . . .
Read out of your comfort zone and write out of your comfort zone. It will sharpen your observations and enhance the kind of work you are naturally drawn to. The next book out is part of a brilliant series with 6 other amazing writers. The stories are linked but you don’t have to read them in any particular order. It’s called the Secrets Series and each writer tackles the question of "how much do you want to know who you really are?” My story within that series is called Shattered Glass. I’m currently working on a YA psychological thriller that will come out next year. It’s a twisted and dark story that has just been a ton of fun to write! 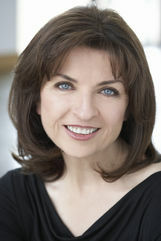 TERESA TOTEN is the author of the acclaimed Blondes series, as well as The Game, The Onlyhouse and, with Eric Walters, The Taming. She has twice been shortlisted for the Governor General's Literary Award for Children's Text and has won or been nominated for numerous other awards, including the OLA White Pine Award, the Ruth Schwartz Award, and the IODE Violet Downey Book Award. Although she was born in Zagreb, Croatia, Teresa left for Canada on that very same day. She now lives in Toronto.